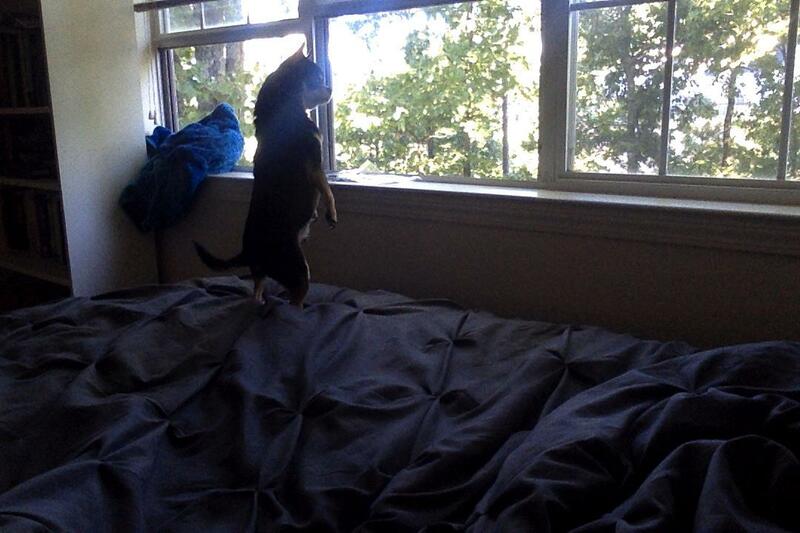 Yesterday I worked around my apartment with my windows open. This doesn’t happen often, and while they’re open at the moment, the good ol’ Georgia heat could be back at any moment. Even Charlie is enjoying it! 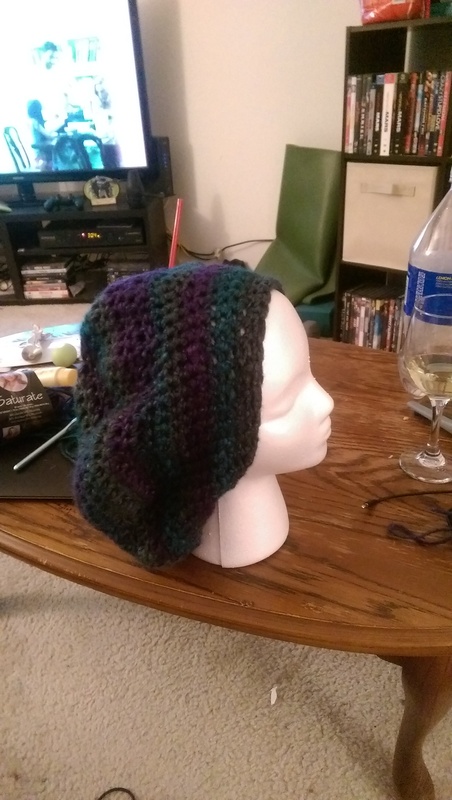 But the weather inspired me to make a new hat for the upcoming fall and winter. 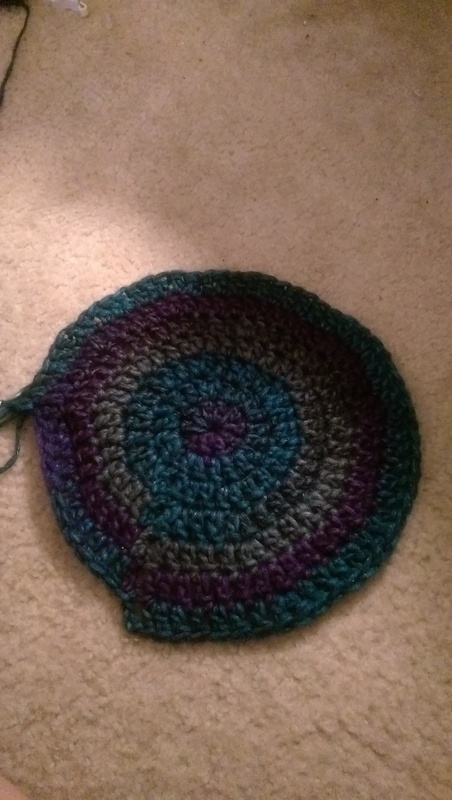 I bought some yarn super on sale a few weeks ago for said new hat. Seriously, it was under $1. 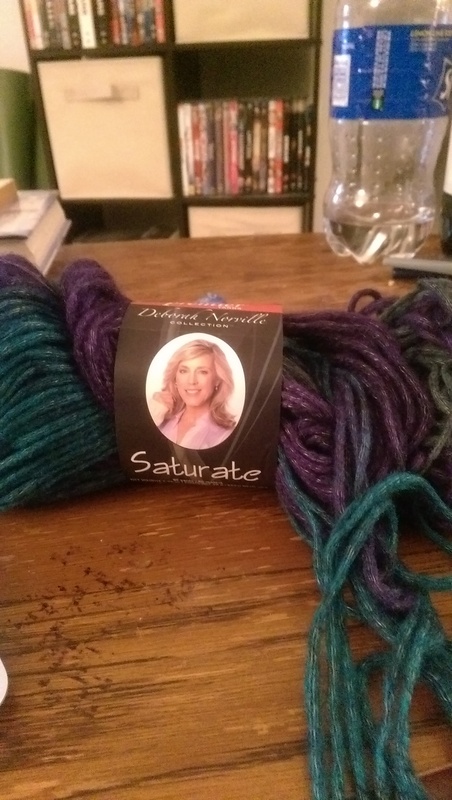 I scooped up two skeins with a hat in mind. I didn’t follow any pattern in particular — I love hats for this reason. Pick a stitch and go for a simple one (which is all I wanted last night. This is at about halfway through the project. It’s done with double crochets all the way through. It spiraled well! The whole hat took about three hours, though a good portion of that was me sorting out yarn. It knots frequently. Since I wasn’t going with an actual pattern, the brim is a bit odd. It’s also not as tight fitting as I wanted it, but that’s okay. I may work on it a little more today to fix that. Anyways, welcome fall! I wait to embrace you with a fun new hat. Too Many Choices by I’m EXCITED!